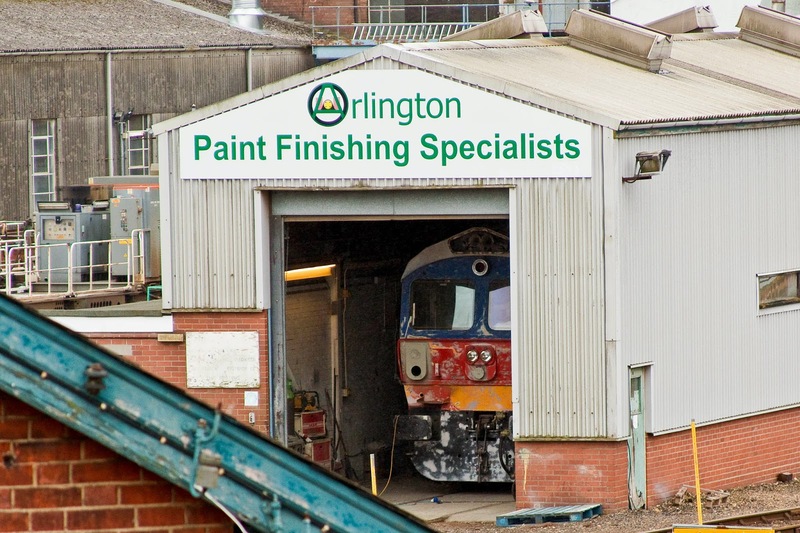 59003 YEOMAN HIGHLANDER in the Arlington paint facility at Eastleigh Works, 28th March. Mk 2F TSO 5937 from Lot 30846 at Derby in 1973. 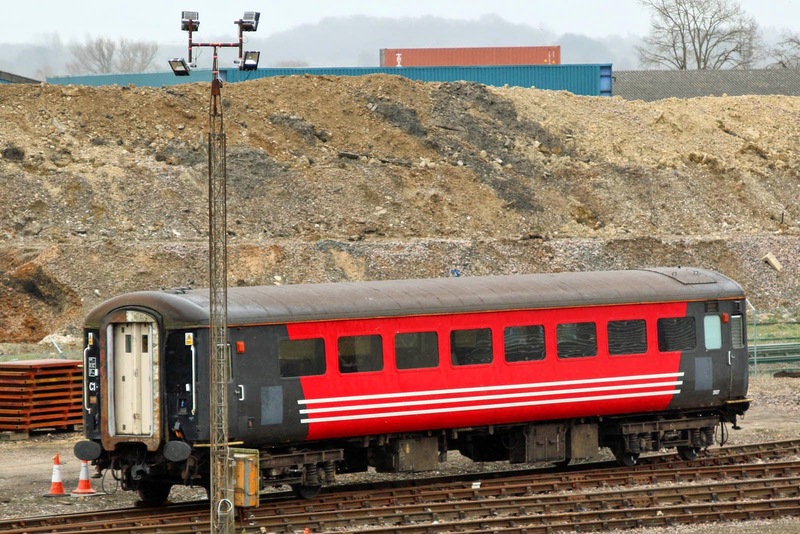 Recently delivered to Eastleigh, and expected to join the ScotRail Fife Circle fleet after repaint. 70802 has an intermittent marker light, seen at the start of this video at dusk on 27th March. Friday 27th March: 68009 0Z70 01:00 Crewe - Eastleigh one two three, 5Z68 12:34 Eastleigh - Willesden Brent; 08650 removed from Eastleigh Works by road to the Isle of Grain. - 16 TTAs from Fawley, 10 then were worked forward in 6V38 to Didcot. Thursday 26th March: 6B93 09:53 Eastleigh - Fawley, 0B94 12:05 Fawley - Eastleigh - not sure if this was TTA traffic being returned empty to Fawley. Fuel was supplied to railway fuel depots at Eastleigh and Ipswich. It appears than an Immingham to Ipswich rail alternative is being arranged using TEAs. At Carlisle, 68006 has also been repainted into the ScotRail scheme. 47828 does appear to be at Eastleigh for parts removal. 47805 has been reinstated to traffic following exam at Crewe, thus DRS have 5 available Class 47 as planned for their current needs. Elsewhere: 34092 SPAD incident on 7th March.